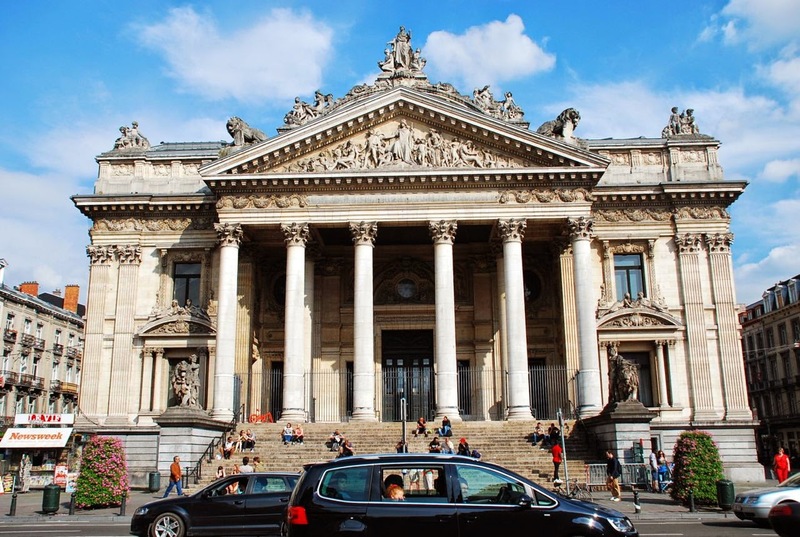 The place to be in Brussels on Thursday after Belgium beat South Korea 1-0 to advance to the knockout phase of the World Cup was downtown at the Bourse, of course. 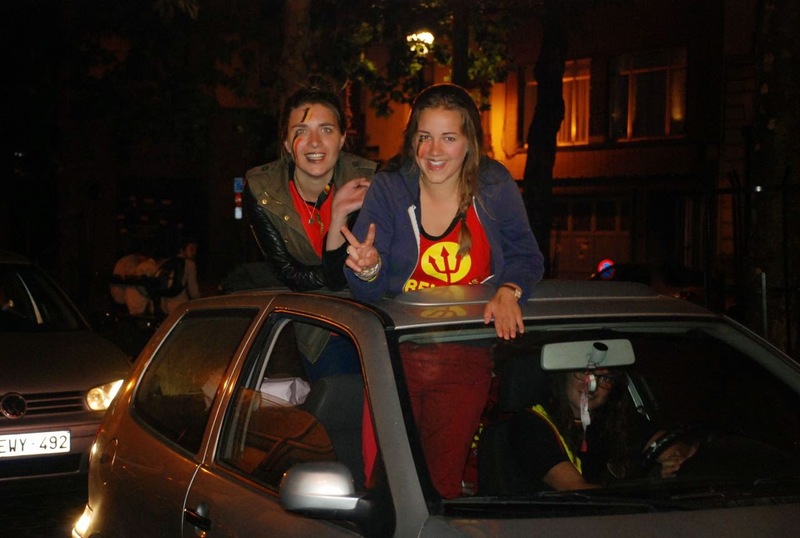 Four years ago when Spain won the tournament, this was the scene of thousands of Spaniards partying into the wee hours. 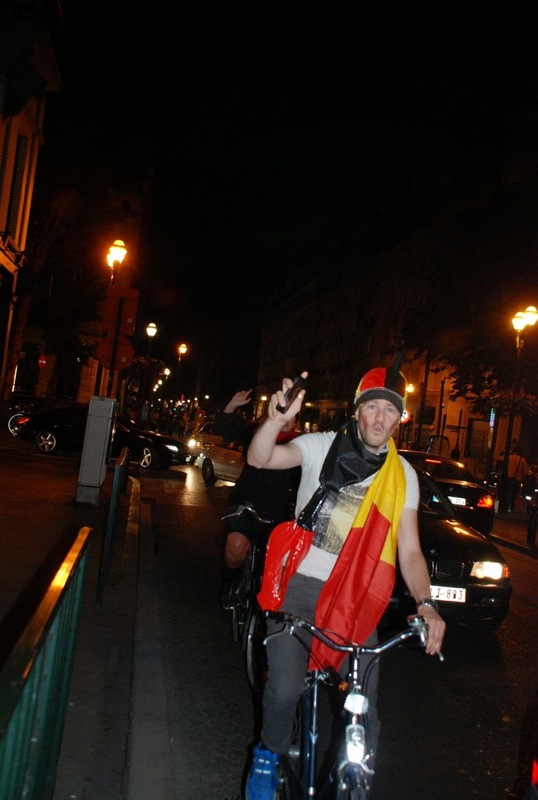 This time around it was the Belgian’s turn to stake a claim on the flag waving going on in their capital. OK, getting out of the group stage isn't exactly the same as winning the World Cup, but surely it’s still a reason to celebrate. 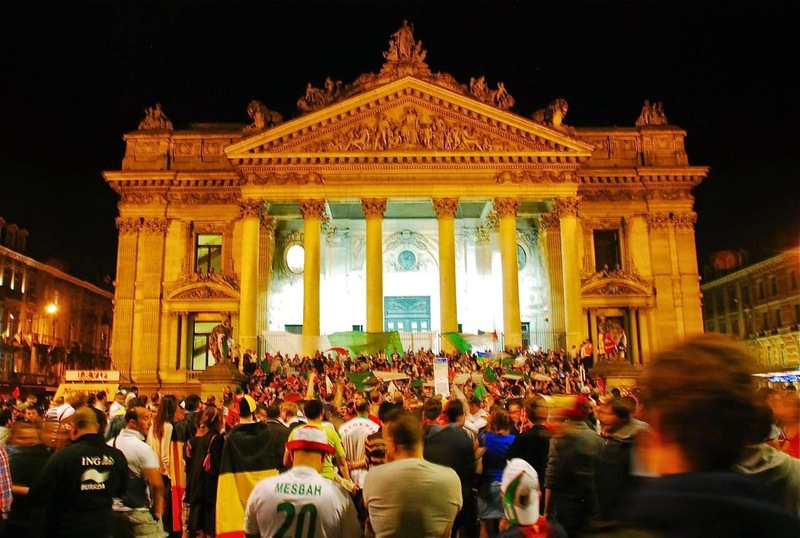 On that note, hats off to the Algerian’s too who also advanced from the same group as Belgium, and who took the party at the Bourse to another level on Thursday with green, red and white fireworks at about 1 A.M. 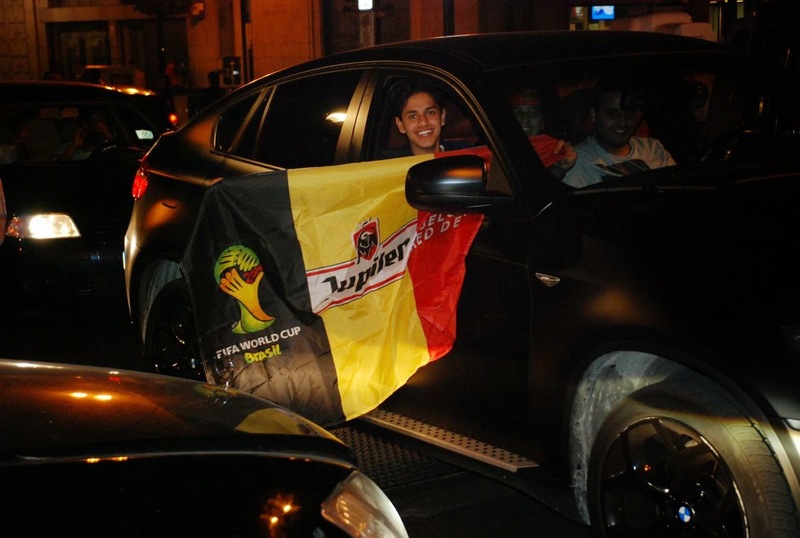 Celebrating football success is kind of a new thing in recent Belgian memory. The last real hope the Red Devils had was in 1986 when they made it to the semi-finals at the World Cup in Mexico. 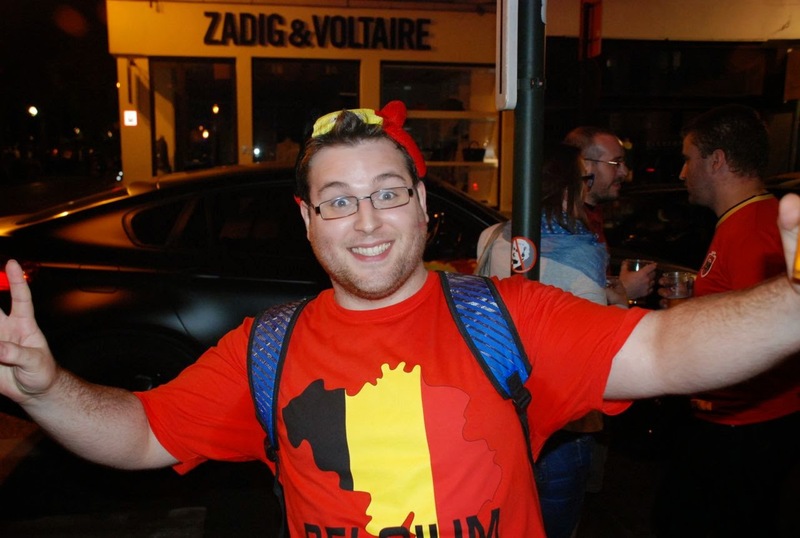 Across the country now, everyone – including adopted Belgian’s like myself – is definitely enjoying this long-awaited moment when we can get behind a team that actually has a chance of doing well. Something nobody thought was possible. Something I hoped for, but which I knew was about as likely as winning the lottery. 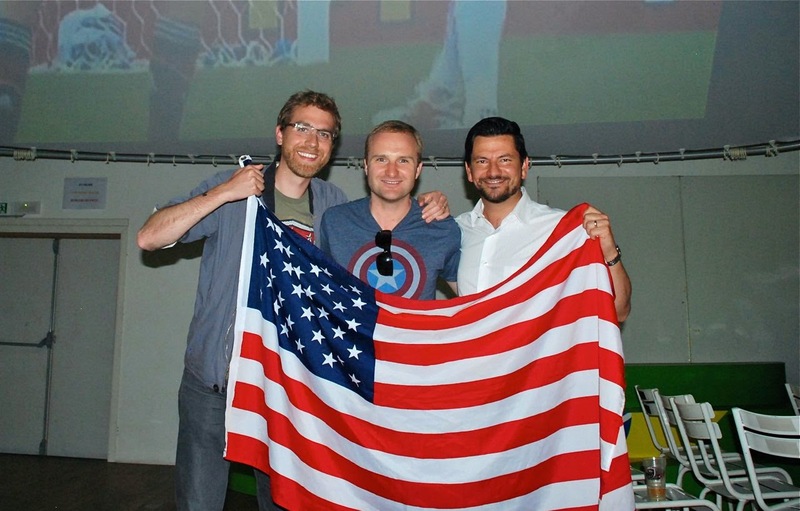 The US, who faced Ghana, Portugal, and Germany in what from the American’s perspective could only be described as the Group of Death, also advanced to the next round, carrying through enough points despite a 1-0 loss to Germany on Thursday. Guess who they play in the next round? “Portugal,” a couple people said, confidently. “I don’t know!” said most. Well, I think everyone knows by now. And I have yet to meet a Belgian that thinks they are going to lose to the US. Not that everyone underestimates the Americans. Clint Dempsey is often cited as a threat and people recognize the US as physical side that don’t stop running for the full 90 minutes (apparently that’s the limit though, thank you very much Portugal for making that clear!) But it’s still the US. We’re still the underdog. OK, but there’s still one question I keep getting, and I’m sure I’ll continue to hear it until the match on Tuesday.